On Thursday night, Eric Olson and I hosted our 11th TECH cocktail in Chicago. Since we started in Chicago we have seen the event grow from the simple idea of hosting an event to bring together the community and showcase the local start-ups into a premiere event where we can't even find a big enough venue anymore. TECH cocktail 11 had close to 700 paid attendees. We were rather surprised as this is the first event we charged attendees $10 to attend so we thought the event numbers might see a slight dip in attendance. But, this doesn't seem to be the case at all, in fact the stellar attendance further validates what we are doing. Check out this quick video that gives a (12 second) look at what it was like at the event. Nine new startups from the local Chicagoland area showed off their latest technological creations. 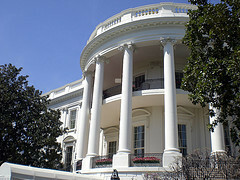 Yesterday, I attended the first NASA Tweetup at NASA Headquarters in Washington, D.C. The NASA Tweetup was not like other Tweetups that I have hosted or been to but was run in a more official capacity. There was a registration process and only confirmed guests were accepted and given access to the event. This process was probably done for security reasons and it contributed to a private event feel. The event was run during business hours from 3 to 5 p.m. EST which is a little early for most but the event was still packed with over 200 attendees. The program schedule showcased the STS-125 astronauts who recently returned from Hubble telescope repair mission and they shared their experiences on the mission. For anyone unable to attend, the event was streamed live on the Web via UStream. 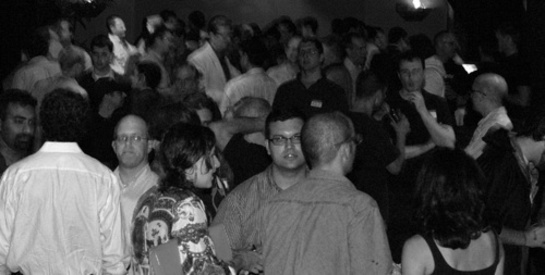 Last Thursday night I co-hosted our last TECH cocktail of 2008. This wrapped up a 2008 TECH cocktail season that included 8 mixer events spread across Chicago, DC, Boston, Boulder and Champaign and one full day conference. We were pleased at the consistent growth of TECH cocktail and TECH cocktail Chicago 9 pulled in our largest crowd of the year with over 700 attendees. The event showcased six startups. Check out the photos from TECH cocktail Chicago 9. The panel was moderated by the very polished, Wyatt Andrews, a veteran CBS News reporter. It was a pleasure to meet Wyatt and to learn of his experiences, including, his experience serving as White House correspondent for George Bush Sr.
You are exactly right Adriana. You have to have fun in life because life is too short, because we die. I am happy you realize that and are taking action. Congrats to Adriana on the new gig with hi5. The social networking space is definitely an interesting and exploding territory and I am sure Adriana's expertise will make a positive impact on hi5's direction which already appears to be up. Do you have 12 seconds? 12seconds, a Santa Cruz, California based startup, launched recently to offer users the ability to record short format video messages (12 seconds to be exact) and distributes them directly to a Twitter account. The site functions as a community destination as it also offers users the ability to follow others users on the site itself in a video stream format similar to twitter stream. The site offers a simple layout and appears to be built on a drupal content management system framework. It also offers users simple recording and email video uploading features to enable users to input content. Videos can be embedded in other sites though a custom 12seconds player. Currently the player does not offer snaggable code. What will computers empower us to do? Intel recently unveiled the World Mural Project to coincide with its 40th Anniversary celebration. 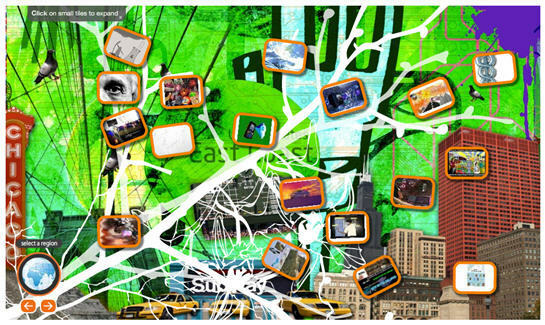 This unique collaborative Web artwork offers content from the Intel Computer Clubhouse Network, a worldwide after-school community-based technology learning program for kids in under-served communities. The project offers an interact display as you can navigate the globe looking at the various pieces of user contributed artwork around the theme "what computers will empower us to do" over the next 40 years. What will computers empower us to do in the next 40 years? There is something nice about being able to flip through and feel the pages of a good magazine. I subscribe to such titles as Wired, GOOD and a few others but I often see them piling up on my coffee table. Mygazines might offer a solution to help me get to read magazines while I am online with its community approach to magazine sharing. Mygazines enables its users to upload and share magazines with the rest of the community like the YouTube for magazine publishing. I headed to Boston yesterday and after a long day of hectic travel due to some nasty summer storms I co-hosted TECH cocktail Boston 2. 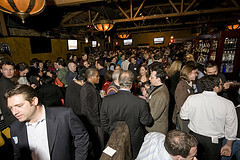 The event attracted a couple hundred dedicated Boston TECH cocktailers. Thank you to everyone that made their way out through the rain. Six Boston area startups demoed at TECH cocktail Boston 2 and they are highlighted in this article. Last week, I sat on a panel with Sarah Lacy and we discussed an array of topics from Web 2.0 startups to AOL acquisitions. We also discussed starting a company in Silicon Valley vs. everywhere else. This is something we actually debated about towards the end of the panel. Though I love the Valley, I don't think you need to be in Silicon Valley to start and run a successful business. 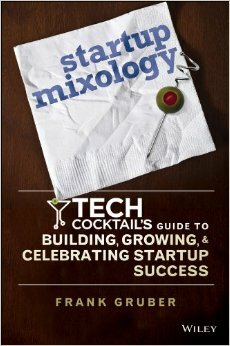 I think it can help to be in the Valley but we have been proving through our TECH cocktail efforts that there are strong technology communities in a number of places and you can startup in any one of them. Sarah has since posted about it here and even challenges a smart DC company to prove her wrong. SnagFilms Launches Hub For Indie Films But Does It Really Let You Snag Films? Independent filmmakers just got a new place to flock online as Washington, DC-based startup SnagFilms launched today. The startup looks to "change" the way independent film is distributed. Snag Films was founded by Ted Leonsis and was created to address the bottleneck in distribution for quality documentaries that has left many great films unable to reach their potential audience or to provide a viable financial return. Ted announced the launch and his reasoning behind the site on his blog today. The days of fumbling over a map while driving a car appear to be a parting memory as GPS systems have grown increasingly popular of the past few years. The iPhone and other mobile devices have adopted GPS for navigating your way through life. Some newer vehicles are adding GPS as a standard option. Portable GPS devices by Garmin, Tom Tom and other have continued to roll out improved devices. But there is a new GPS startup that is taking what Garmin and Tom Tom have been doing well and taking it a step further. Dash Navigation, a Sunnyvale, California startup, has launched a product called the Dash Express which not only helps you find your way it also hooks to the Internet for real-time interactivity. This connectivity can be leveraged to offer real-time traffic data based on anomous Dash users. The connection also hooks users up to Yahoo Local search to find local business and other destinations. A new open platform also means that users will be seeing more and functionality and applications offered but some of the notables currently include Twitter which sends your current location to Twitter as well as other applications like WeatherBug which offers real-time weather information based on your current location.